This is the translation of small opuscule, al-Mukhtasar, written by the head of the Baghdadi Hanafi guild Abu ‘l-Husayn al-Quduri (d. 428/1037); and is one of the first works of the Mukhtasar genre only to be preceded by al-Tahawi (d. 321/933). Books in the Mukhtasar genre were used to quickly train lawyers in the sacred law as well as for memorization for reference purposes. 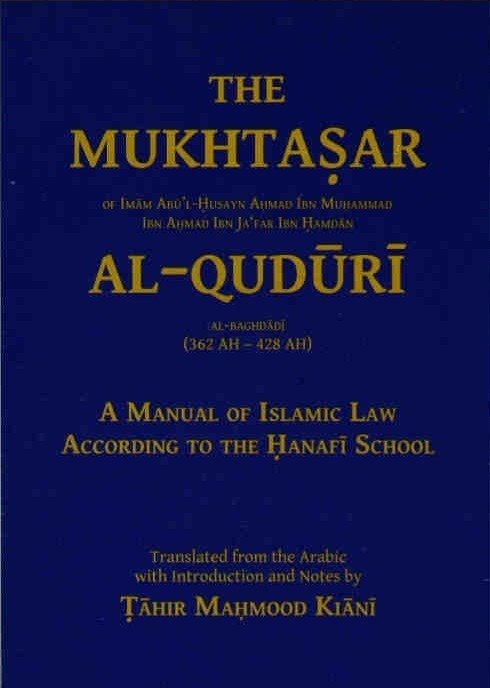 The Mukhtasar of al-Quduri gained much popularity in the Hanafi School of thought due to the position its author held in the guild as well as the superior arrangement of its contents, which hitherto was missing from legal text books. It was incorporated into the Darse Nizami syllabus taught in the religious seminaries of the Asian sub-continent as well as their affiliate seminaries in the Western world as an elementary text of Islamic sacred law. salaam, do you have the hashiyat on qudoori by Mawlana Ghulam Mustapha Sindi?